Thinking of a flyer campaign? Before it goes to print, make sure your flyer will give you a good return on investment. Before you start, know what your audience cares about, who they are, where they are, and what their problems are. Once you know that, you know what messages will connect with them. Don’t try to pack everything about a subject into your flyer. That will crowd the images, people won’t read it, and it will end up looking grey and full of text. Keep the sentences short and to the point, and direct people to your website, email, or phone number for more information. Get them intrigued! Use bullet points, numbers, infographics, and text boxes to split the information up into bite-sized pieces. Choose great images – and pick colours relevant to your audience. Images are the first thing anyone sees in a printed product. Make them engaging. 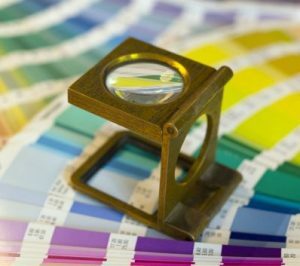 When it comes to colours, do some research about what will work best for your industry. Red tends to be a great colour for the food industry, for example. It should reflect what you do and be short, punchy, and to the point. Show you understand and answer your customer’s problems. Show them how your product or service will make their life better! Show them how you’re different from the competition. There’s nothing worse than a spelling mistake or grammatical errors in a flyer. It doesn’t inspire confidence! A mistake with a phone number could mean you throwing your money down the drain. Get someone else to check your copy before you send it for printing – two pairs of eyes are better than one. Tell the readers what you want them to do. Spell it out for them. This is what professional copywriters do well – it’s a ‘call to action’. If you want them to phone, say so. If you want them to go to your store, say so. Then show them how to do that by giving the number or address. Use a font which is easily readable and use it in a readable size – usually 12-point and above. Making it difficult for the reader will turn off potential customers. If your audience is older, and several may have sight issues, consider using larger fonts. Use pull-out quotes to help build trust and build your ‘social proof’ to potential customers. Make it about them, not about your business. Use both sides of the flyer. It may sound obvious, but you’d be surprised to see how many businesses waste one side of their leaflets with blank space. Don’t skimp on this. It’s there waiting to be used – get that message across!